Note: this is a Standard plan feature. 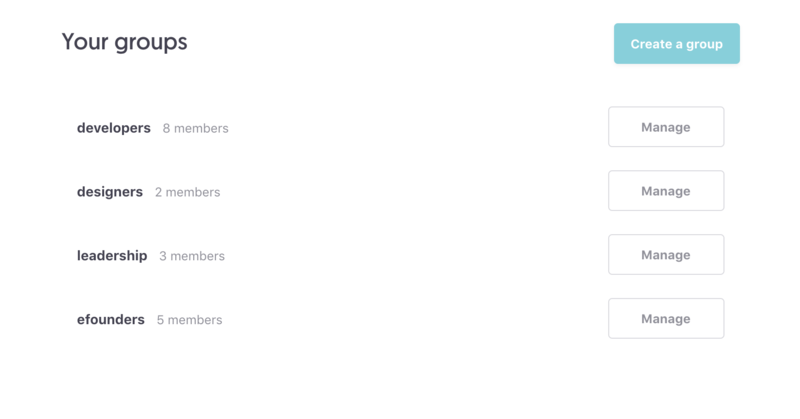 At the moment, groups of members in Slite allow you to easily set channel permissions for a specific group of people. More to come! 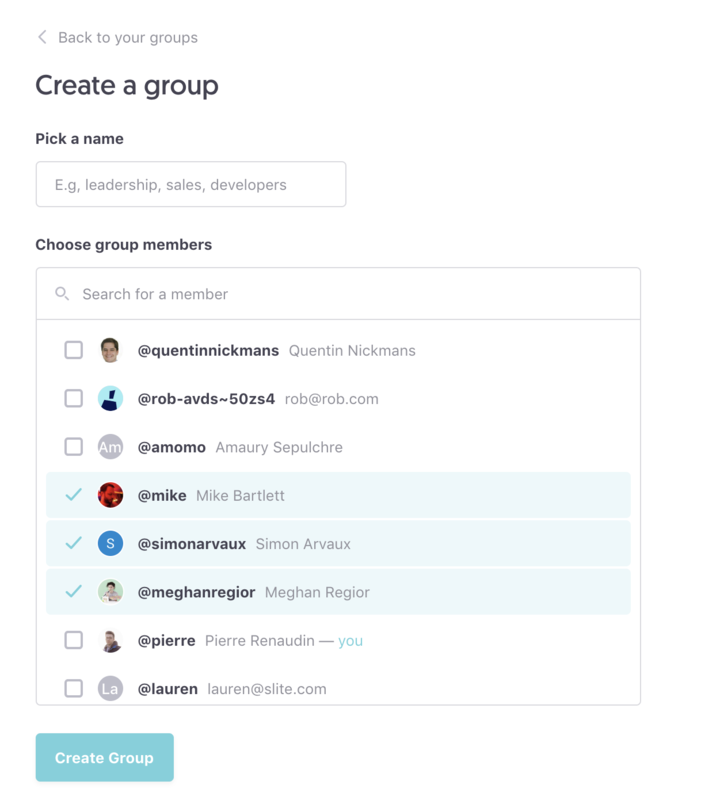 For example you could create groups around projects or teams. You must be an Admin to create Groups. Head to General settings > Groups.